Not a single kilobyte should be wasted on unwanted junk files. Now you don’t have to manually open game platforms like Steam, Battle.net, and Origin, to erase junk files or clear browsers to gain that extra boost for gaming. The Razer Cortex: System Booster is a one-stop solution where you can seamlessly release precious disk space for your games. 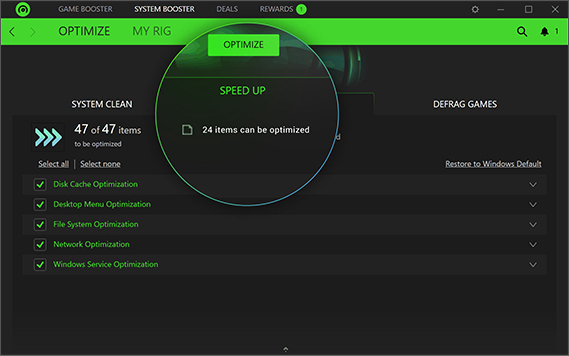 Razer Cortex: System Booster comes with recommendations from our optimization specialists to speed up most systems. With expert tweak controls, users can delve deeper and fine-tune their boost settings to a granular level. Organizing the fragmented files of games on a HDD should increase the reading and writing speed to cut down long loading periods. No more waiting when you’re in the mood for gaming. 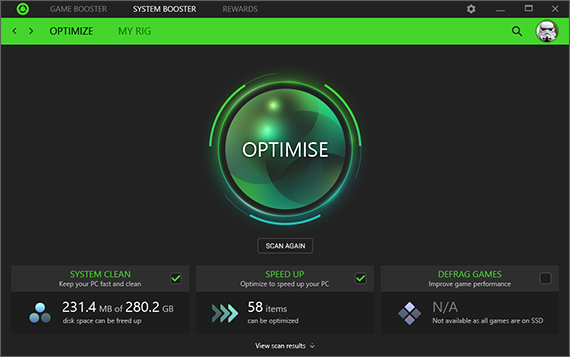 What exactly does Razer Cortex: System Booster do? 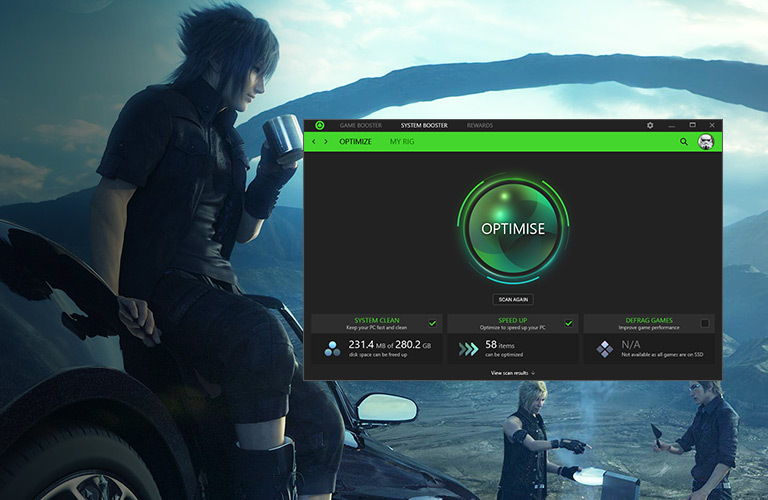 Razer Cortex: System Booster cleans junk files, browser history, cache, etc., optimizes system configurations, and defragments your games, for better gaming performance. What files are scanned for cleaning? 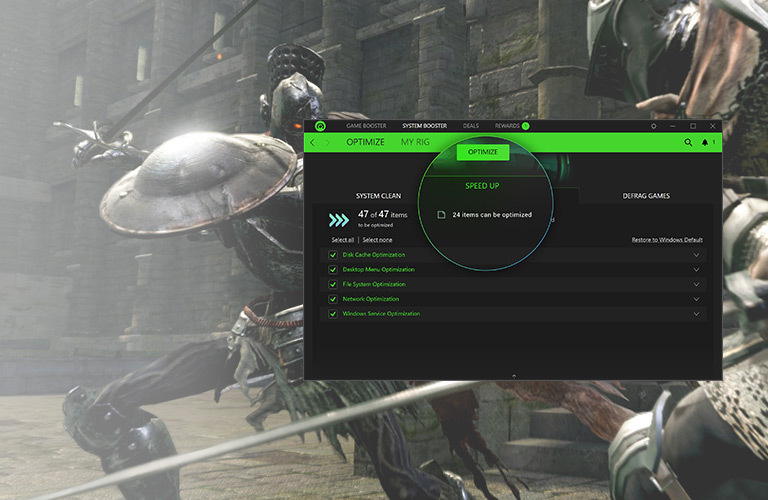 Razer Cortex: System Booster scans game platforms, systems and browsers for junk files. More information can be found in the details list after you click View Scan Results, and you get to select the files to be cleaned. Be sure to close your browser before cleaning, or it will not be cleaned. Why is the Defrag Games function greyed out? The Defrag Games function only applies to games that are on HDD. If your games are on SSD, which should never be defragmented, it will grey out.